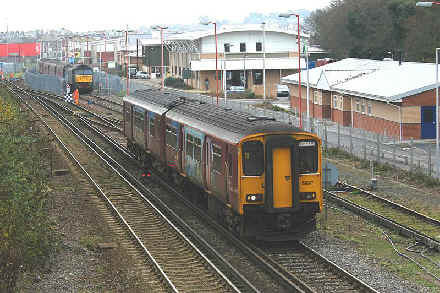 A current view, showing how much the railway at Weymouth has changed, Wessex Trains unit 150247 leaves for Bristol on 20/11/03. Photo by Mark Pike. 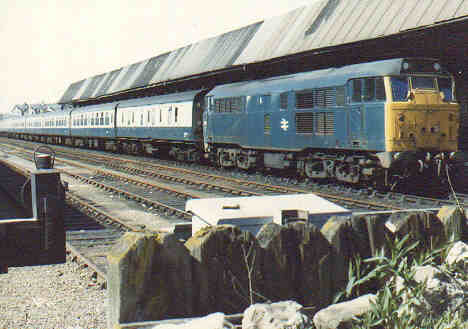 Another view of Western Region stock at Weymouth is this one of two diesel multiple units which had come down from Bristol via Westbury and Yeovil. 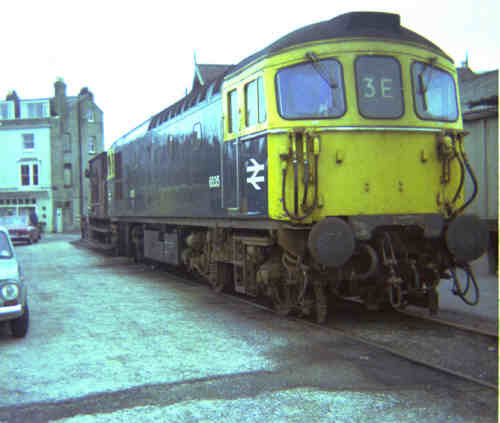 Also in the photo is a class 03 shunter, these locos used at one time to haul the Channel Island boat trains on the last leg of their journey through the streets to Weymouth Quay station. Photo by B Tucker. 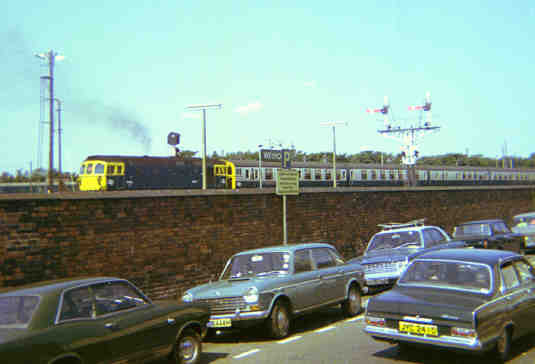 The second photo is of a Class 33 loco nearing the ferry terminal on this line. The ferry in the background is the Maid of Kent which operated the Weymouth - Cherbourg route. 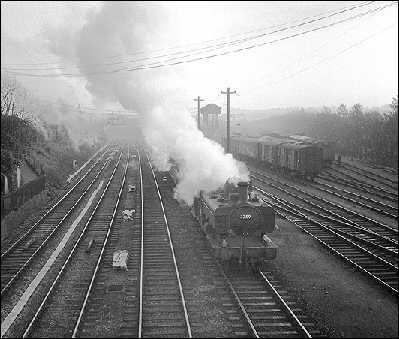 Trains were preceded by a British Transport Police officer and two hefty Permanent Way Dept. 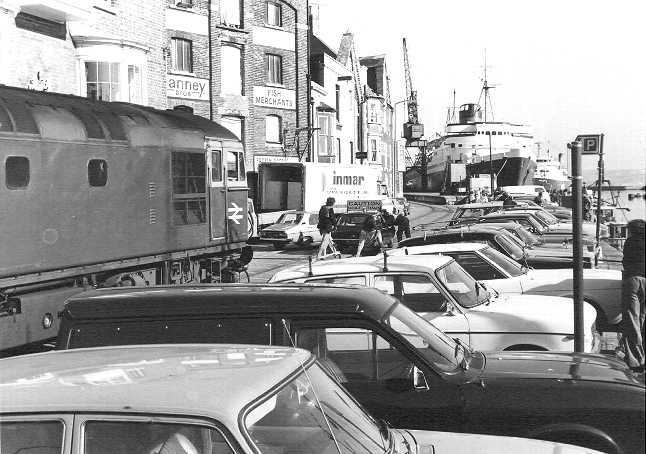 men, between brawn and keys obstructing cars were easily moved, often being left with an inch or two overhanging the harbour side - people wouldn't park in the way twice ! 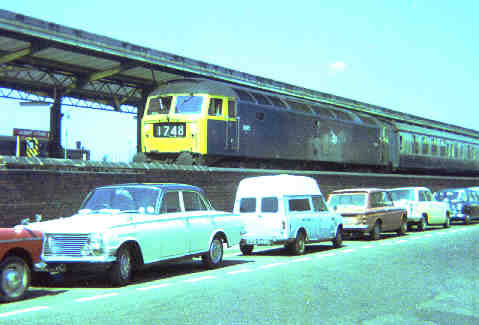 It was a real shock to visitors to encounter a mainline express train in the middle of the road ! !Photo by John Griffiths. 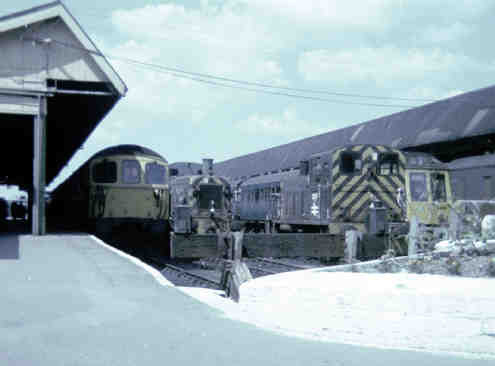 Another 33, D6533, is seen in the goods yard at Weymouth between duties. 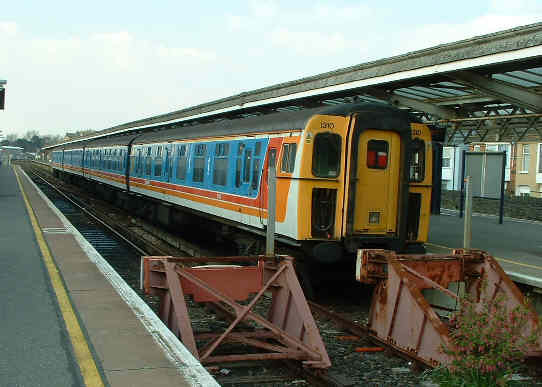 There's some modern views of the Quay line on A Virtual "Cab-ride" along the Weymouth Quay line. 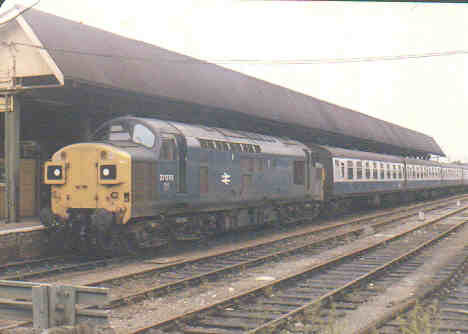 The modern scene - though 4CIG 1310 is hardly modern at 30 odd years old - only 3 platforms, most of the rest of the station and yard is now a Halfords and a B&Q. 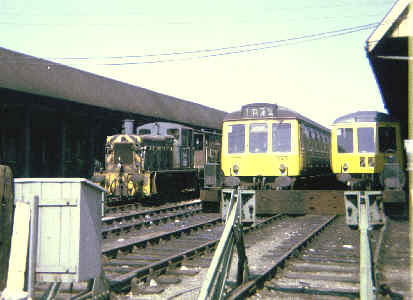 There is still a line leading to the quay tramway but the tramway is currently disused.